We were at the craft shop the other day and they had a 50% off sale. Nothing gets me going more than 50% off. It's a perfect opportunity to buy twice as much as you would already. Or in this case. To walk in to a store and buy lots of very VERY useful things. Amirite? 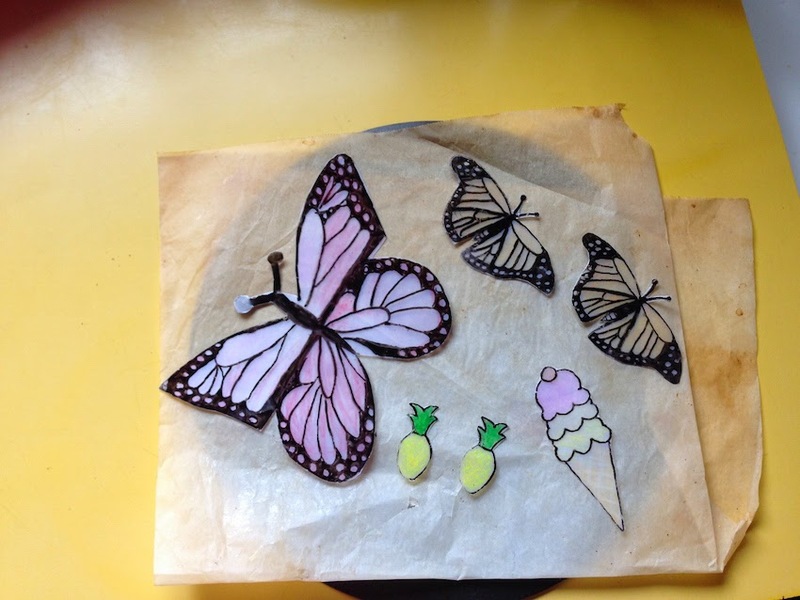 I'd been looking out for some shrink plastic ever since seeing a very nice tutorial for making shrinkie jewellery in Mollie Makes but could only find it online with a hefty postage fee. So you can imagine my delight when I saw it in that very craft store for (ahem) 50 blessed percent off. The plastic was in. the. bag. And so, the girls and I have had lots of fun experimenting. - It's kinda tricky to draw on the plastic when you have small hands. - I'm still a recovering control freak. but then I realised that Lu could draw on a piece of paper, put the plastic over the top and colour in the drawing, and then I could trace her drawing onto the plastic with a black texta. 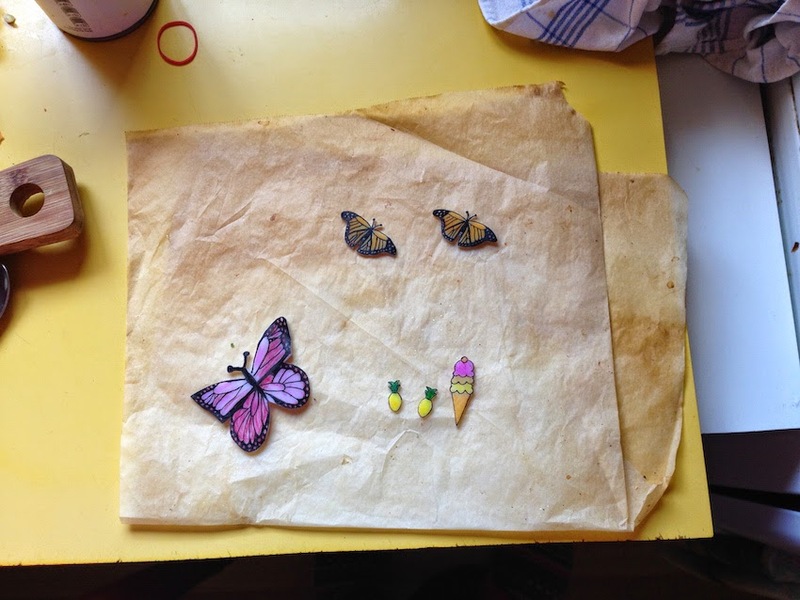 This makes for some very sweet (almost) completely kid made brooches.